AMDA | AMDA News - Harry Groener to speak at AMDA LA Fall Graduation! We are honored to announce Harry Groener as our AMDA LA Fall Graduation speaker. 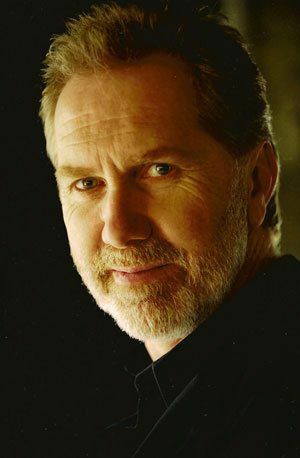 One of America’s most versatile and respected actors, Harry Groener’s brilliant career spans film, television and theatre. His debut Broadway performance in a revival of Rogers and Hammerstein’s Oklahoma! earned him the prestigious New York Theatre World Award as well as Drama Desk and Tony Award nominations. Two more Tony nominations followed for his roles as Munkustrap in the original Broadway production of Cats and his performance as song and dance man Bobby Child in Crazy For You. His diverse Broadway, Off Broadway and national theatre credits include King Arthur in Monty Python’s Spamalot, Nora Ephron’s Imaginary Friends, the title role in The Madness of George III at Chicago’s Shakespeare Theater (for which he received the Jeff Award), and the role of General Sherman in The March, presented by Chicago’s Steppenwolf Theater Company. In 2012, he starred in Christopher Hampton’s Appomattox at the Guthrie Theater, playing both Presidents Abraham Lincoln and Lyndon Baines Johnson. Mr. Groener is equally prolific on Southern California stages, with appearances at Geffen Playhouse, Mark Taper Forum, Westwood Playhouse, South Coast Repertory and Pasadena Playhouse. He serves as an Associate Artist at San Diego’s Old Globe Theatre. Along with his wife of 34 years, actress Dawn Didawick, he is a Founding Member of The Antaeus Company in Los Angeles. In 2010, he appeared in the company’s King Lear in the title role, for which he won the LA Drama Critics Circle Award. Mr. Groener’s numerous film credits include About Schmidt with Jack Nicholson, Road to Perdition with Tom Hanks, Stephen Spielberg’s Amistad, Patch Adams with Robin Williams, Brubaker with Robert Redford and The Day The World Ended. It is our great pleasure to welcome Harry Groener as our very special guest speaker for the graduating class of Fall 2012! *AMDA LA Fall Graduation ceremony takes place on Saturday, February 16th. We have 73 students graduating. A reception will follow at the AMDA Piazza for family, graduates and faculty/staff.